In an increasingly polarized day and age, Pride St. Louis Vice President Marty Zuniga says seeing more than 300,000 of his closest gay friends and allies in downtown St. Louis is heartwarming. 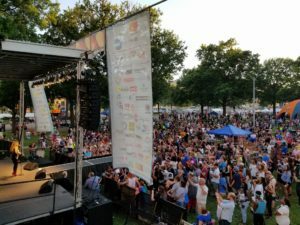 The city is expected to double in population this weekend for the 39th annual PrideFest to support the LGBT community. Zuniga, who is in his eighth year of organizing the event with many other volunteers, says they expect a record turnout and a record 160 entries for Sunday’s parade. “For someone who may not be comfortable in their own home, for someone who may not know who are struggling with coming out, knows that this is a time and place where they can come and be with 300,000 of their closest friends who won’t judge them for who they are, how they look or what they want to wear. That’s why I do this,” he says. 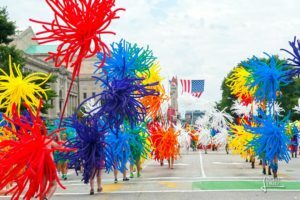 PrideFest will include live music, activities for the whole family and its ever-so-popular parade at noon on Sunday. Zuniga says a $5 donation is encouraged but not required. Donations will help the organization cover the costs of the festival and its Pride Center. The site provides services for LGBT individuals like counseling, a computer lab, a library, clothing, a food pantry and more.